An invisible man sleepin' in your bed, who you gonna call? THE JADED VIEWER! I've blogged about the world of horror for well over 10 years. I've watched every inconceivable paranormal, poltergeist and ghost movie probably ever made but I've never actually done any ghost hunting IRL. In less than a month, I'll be doing just that for the first time. With some fellow Survivors, were all going to venture to The Shanley Hotel, a supposed haunted inn with a very dark past. Equipped with EVPs and recording devices, we shall see if we can hear and see the sights and sounds of the past. Part of me wants to bring a PKE meter, Tobin's Spirit Guide and a proton pack but I would need some help obtaining those items. I've only done one other "ghost tour" and that was in New Orleans....during the day. If you look at those pictures, I'm not even sure I took a picture of a orb or ghost though they claimed there was a 90% chance I would. Hence my tone of skepticism. 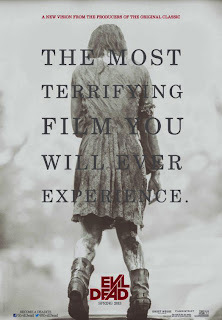 I've seen and loved both Paranormal Activity and The Innkeepers. But that's movie magic and you're guaranteed to see bumps in the night. Who knows what will happen when I go on May 25th. But here's the deal where believer and skeptic become a debate in your own head. I believe there is intelligent life in the universe. I believe there is unknown species we have yet to discover on this planet called Earth. But believing in something and wanting to believe are two different things. I want to believe in Bigfoot and Loch Ness Monster. I want to believe extrasensory perception and time travel. I also want to believe in the paranormal. And so we put that to the test first. Because that is worth exploring. As Q in ST: TNG said once, it's "charting the unknown possibilities of existence". Do you believe in ghosts? Have you gone on a mini investigation of our own to a supposed haunted place? Let me know and share some advice with me. I received an early press release from a NYC theater group that is about to launch a new interactive experience in NYC. It seems the interactive horror may have gone mainstream as it's similar to the other haunts I've reviewed in the past. Renegade Productions is proud to introduce a new interactive experience that will be unleashed to the people of New York City this summer. What would it be like to act as a serial killer stalking your prey? What would it be like to be the prey being stalked by a serial killer? In the world of Stalker, those questions will be answered as 2 willing participants face off head to head in a battle of wills straight out of a horror movie. "The best way to describe it is Silence of the Lambs role playing. 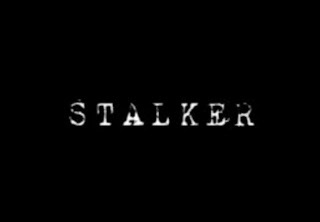 We hope people become fully invested in acting out their fantasies and in doing so trying to outsmart the person they are going against," says Jay Appleton, co-creator of Stalker. Participants will have to sign a waiver, give personal details of where they live and work, their social media accounts, phone number and e-mail. From this information a "stalker" will be able to taunt their prey in a variety of ways. On the other end of the spectrum, the "prey" will also be able to piece clues to who his/her stalker is as a faux FBI dossier/profile will be given. Based upon this information, the person will have to work on finding out who this "stalker" is and prepare a way to survive and ultimately eliminate him or her. The winner will be the person who is able to outsmart, out think and out play their opponent in this real life cat and mouse horror scenario. "We think people will enjoy playing out a fantasy on the city streets where paranoia and thrills running high for a week," says Cassidy James, the other co-creator of Stalker. Stalker will start this summer in NYC. More details are coming soon including price and ticket availability. Welcome to the ultimate game of cat and mouse. Stalker is designed and created by Jay Appleton and Cassidy James. They are the creators of Renegade Productions, a theater group based out of NYC. For media information please contact XXXXXXXX at XXXXXXX, XXXXXXX. I removed the PR info as it's not suppose to go out yet. So what does everybody think of this new horror production? Would you pay to be stalked? Would you pay to be the prey and be a pretend final girl or guy? I'm going to have to definitely sign up for this. And trust me, I'm nobody's fool when it comes to being a stalker or being a stalkee.